Kerry resides in Ringwood, NJ after decades of traveling around the country to work in Biotech and Pharmaceutical Research Companies. In 1996, Kerry completed his doctoral work at the University of Iowa in the Medicinal and Natural Products Chemistry Division of the School of Pharmacy. 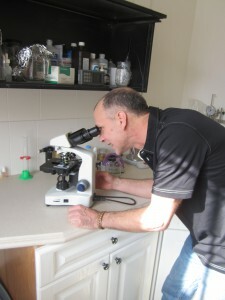 Some of the major themes of his career are fermentation, biochemistry, and microbiology research to optimize the production of natural product molecules. 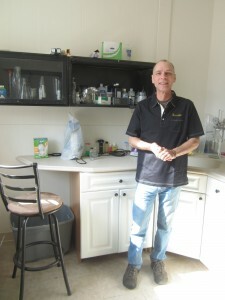 Keeping yeast healthy and ready for brew day is his new work goal and passion, and is part of an evolving plan for continuous improvement methods. To meet the demands of modern brewing analysis, Greg and Kerry have gathered tools for a well-equipped quality control laboratory. Kerry is an award winning home brewer and an aspiring guitarist.